Internationalism: The buyers are mainly from North America, West Europe, Japan, Korea, as well as domestic manufacturers with large purchasing quantities, etc. 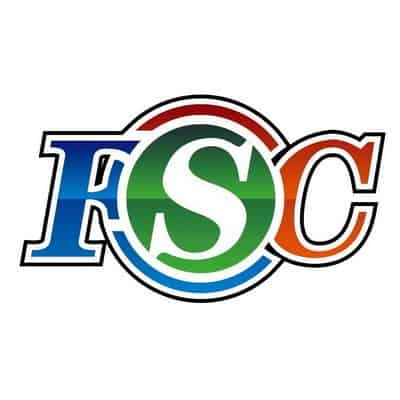 FSC has already served for over 100 World Top 500 enterprises; suppliers in attendance have factories all over the world. Interactivity: SC will assist you in operating casting transaction with the aim of creating a purchasing platform both online and offline. Apart from having collected information of over 3,000 Chinese casting suppliers, orientation of products, standard authentication, casting technology, manufacturing capacity and annual output included, etc., our online platform –foundry-suppliers.com also contains detailed information regarding purchasing blueprint/drawing papers, manufacturing requirements and contact information of transnational casting purchasers, to promote online trading for both suppliers and purchasers. Deciding to make further progress and expand business. Seeking for new business partners and replacing the old customers who were unable to meet your requirements on the basis of a better business…….. Possibility of talking with several oversea purchasers face-to-face. Finding professional global casting purchasers more efficiently than in traditional shows. Opportunities to contact with global purchasers directly. Register for VIP membership: Full membership can browse the details of buyers in Global Casting Buyers Database including drawings, annual purchasing value, and contact information, etc. Full membership fees: $1300 per year. You can also get free business matching service for emergency procurement project. Charge: $5,000 for 12-minutes presentation, including two VIP seats, a stand, a complete set of conference materials. The following company applies to participate in “24th Global Foundry Sourcing Conference 2019” and agrees to follow the organizer’s arrangements. (Please seal and return the form by email or fax to the organizer). Which enterprise will you expect to negotiate at the conference? After confirming to attend the conference, please fill in the application form and seal, fax it to +86-532-8380 5156, then pay the required fee within 7 working days. Please fax the remittance document to the organizing committee. After you finish the above steps, please provide your company profile, contact information in accordance with the China’s Casting Guide. You can browse the purchaser procurement information after registration on www.foundry-suppliers.com. Either party shall not be held responsible to perform partly or fully the contract due to force majeure, including war, natural disasters disease and administrative orders, etc. After such force majeure, both parts shall continue to perform the contract till the completion of contract.